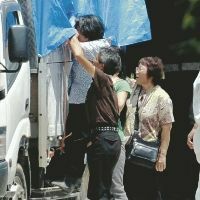 Nearly a month after a growing outbreak of foot-and-mouth disease in Japan, the government has joined the fight to contain it. Japanese Prime Minister, Yukio Hatoyama has announced an emergency task force and is considering spending more than $1bn on compensation for farmers and efforts to stop the disease from spreading further. 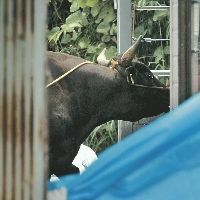 The outbreak, first detected on April 20, is Japan's first since 2000, when the country stopped exporting beef for at least three months. Over 114,000 cows and pigs will be slaughtered from infected sites in Miyazaki, Southern Japan, which produces world famous "wagyu" cattle, well known for its marbling, tenderness and high prices. Japan's beef brought in $40 million in the last fiscal year alone, according to the country's agricultural ministry. The new task force met for the first time on Monday night to discuss several measures, including increasing the number of roadside disinfection locations and dispatching soldiers to man checkpoints.